“Like inside an airplane cabin.” Stoylensky GOK obtained its second drilling rig of the latest design. The twin-brother of this massive machine has been working in Stoylensky quarry for over a year by now. There was plenty of time for us to make sure that our decision to cross over to this particular type of drilling rigs was right. 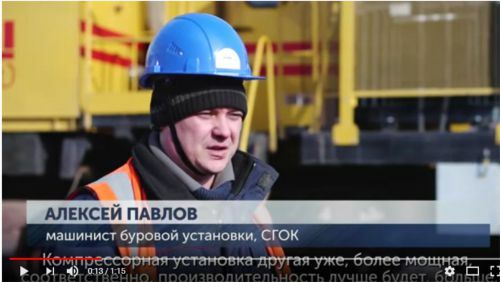 - This drilling rig arrived here in the beginning of the year to replace the old used equipment, - says acting Chief of the drilling department Sergey Chuev. - We have been waiting for this type of equipment for a long time. This machine is similar to the equipment delivered in the end of 2016 – the previous drill of the same type. The equipment proved itself well, therefore we put a great deal of trust on it. 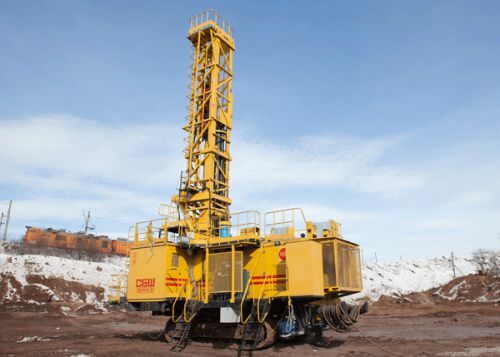 The main difference of the new drilling rigs is the longer feeding cable that widened the operating zone of the machine without the necessity to re-attach the drill to the feeding source. To implement this technical solution into life the engineers increased the source voltage by 15 times from 380 V to 6000V. The feed transformer that lowers the voltage from 6000V to 380 V has been installed on board the machine. - During traveling we need the cable re-attachment less frequently, - says Sergey Chuev. - The time spent on electrical works has shortened. That provides longer operating period of the machines and increases their productivity. I used to work on the machines with electronic control although we have a number of computer-controlled machine on our drill site as well. They do not allow the operator to do anything wrong, for example, to switch on several working regimes simultaneously. The machine will return an error code at once. There are joysticks instead of levers and I always have them at hand. That is very comfortable. I can see the whole operating zone on the monitor. The video is transmitted to the monitor from the outer video recorders. There is also a comfortable chair, an air-conditioner and good ventilation inside. I feel like I am inside an airplane cabin! Stoylensky quarry plans to receive another drilling rig of the same type by the end of the current year.